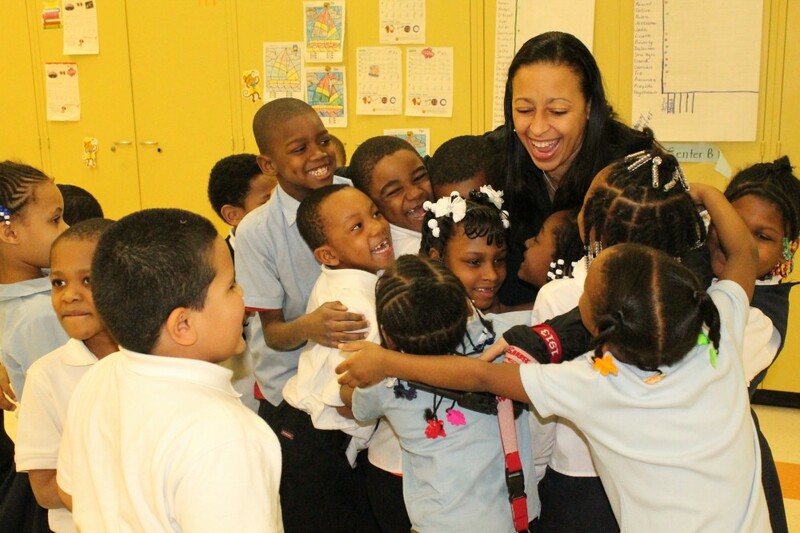 “There is a lot of love in this school. 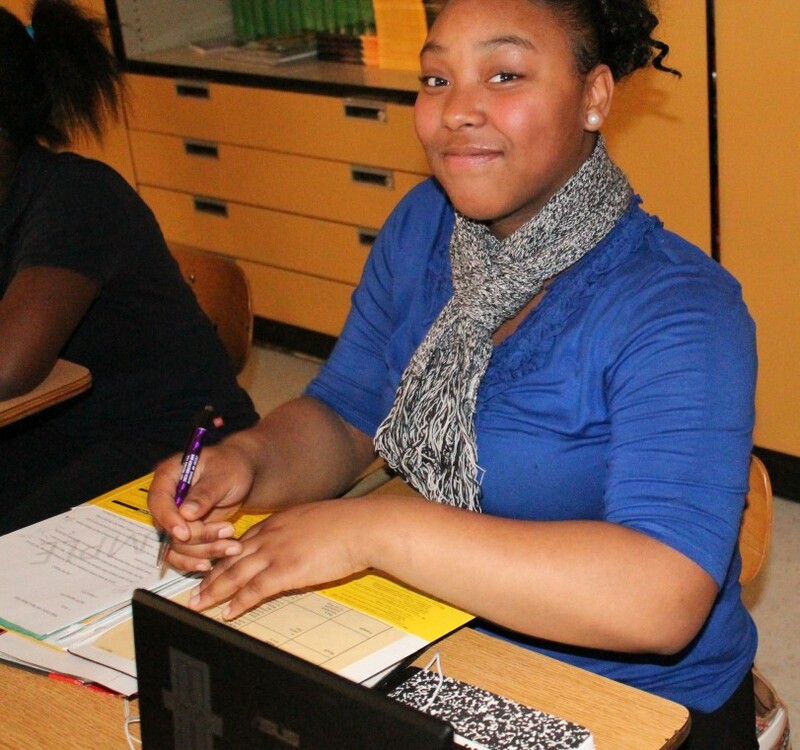 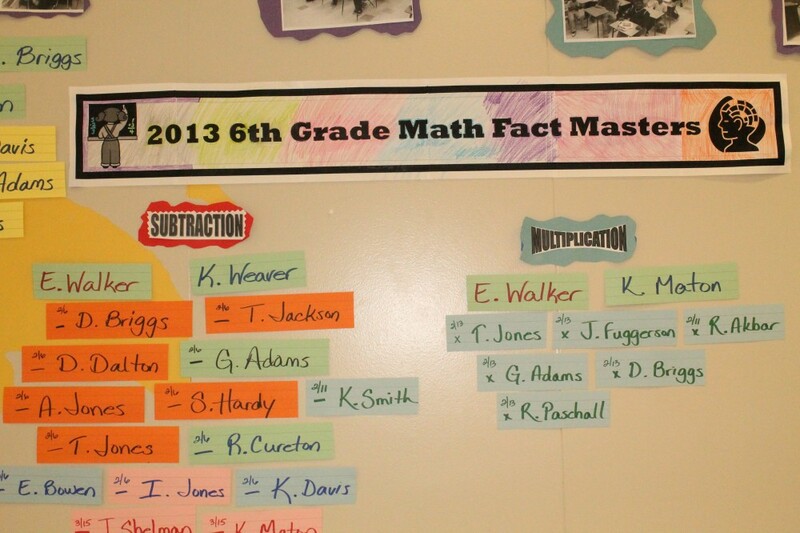 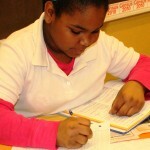 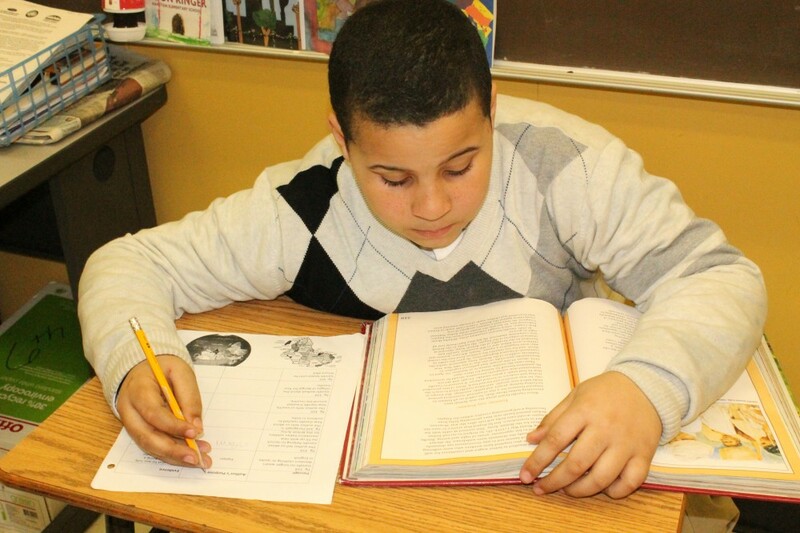 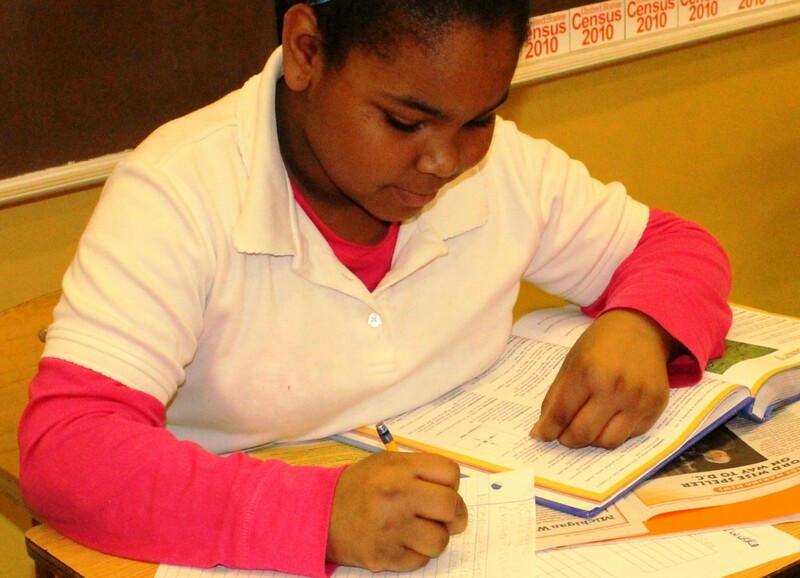 Also with a lot of love comes education,” says sixth-grade student Sh’tyra Hardy. 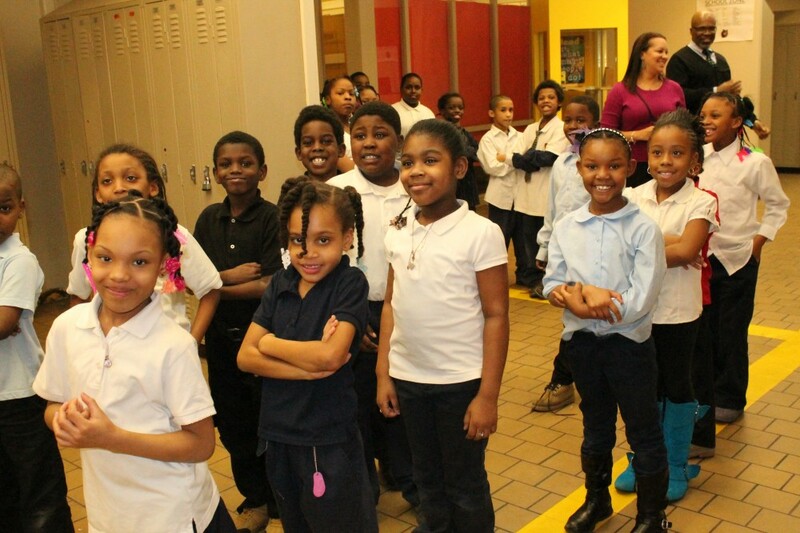 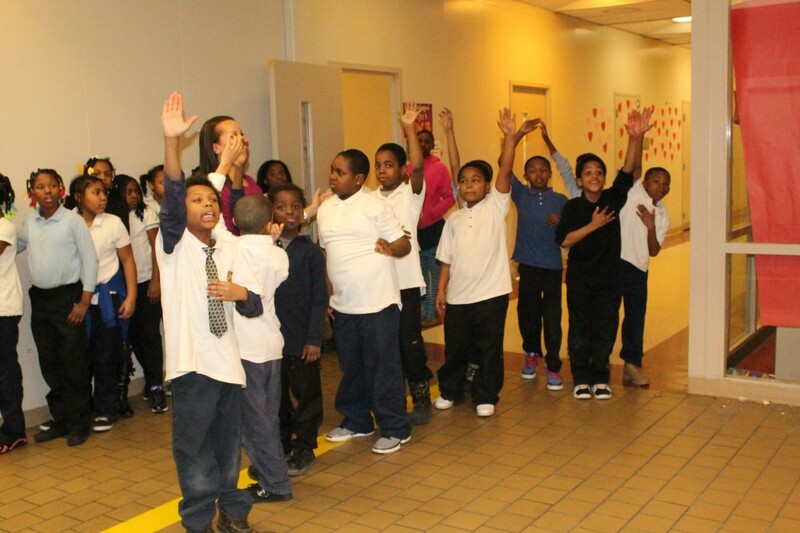 Every morning the students at Carstens Elementary-Middle School at Remus Robinson walk into a building of bright colors, ear-to-ear grins and open-armed hugs. 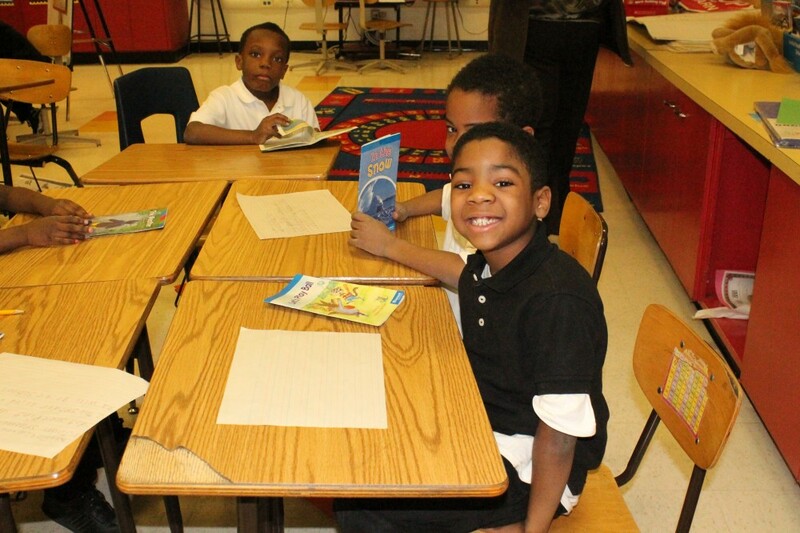 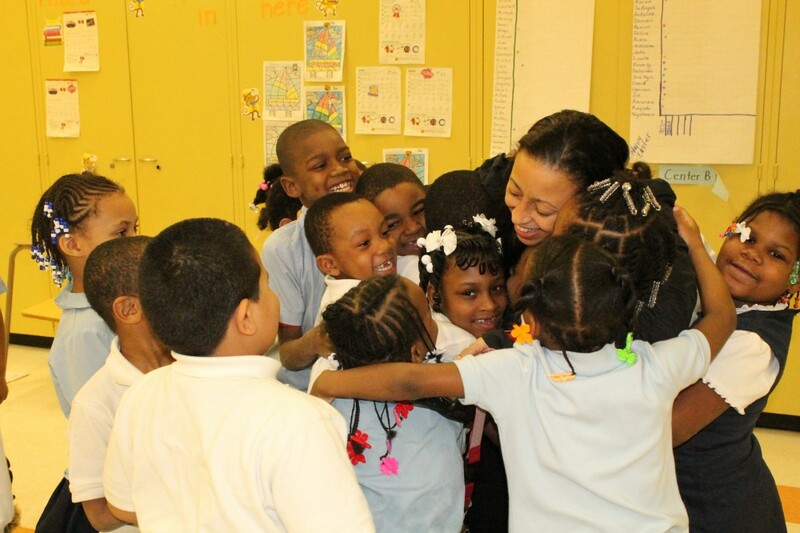 Principal Donna Thornton truly feels that if the students are offered a nurturing environment where everyone is supported by the school as a community, then there is no question that students will achieve their full potential. 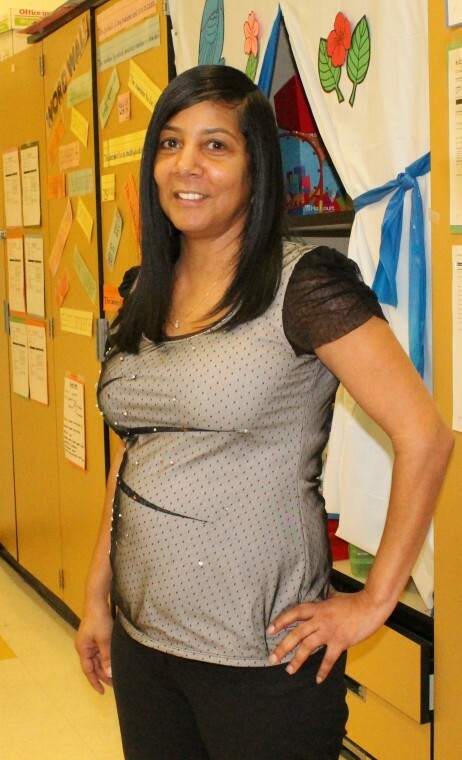 “I try to build a family environment wherever I go. 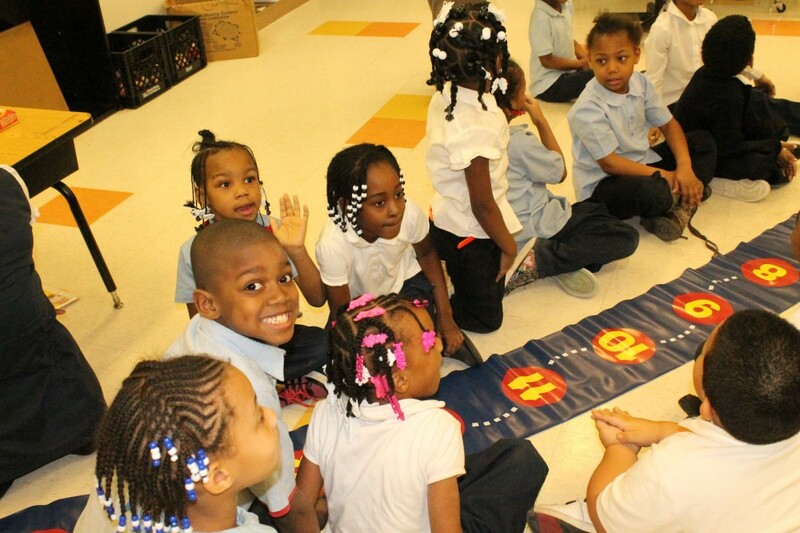 That’s the glue, that’s what propels and supports children to do well academically and behaviorally to become successful,” says Thornton. 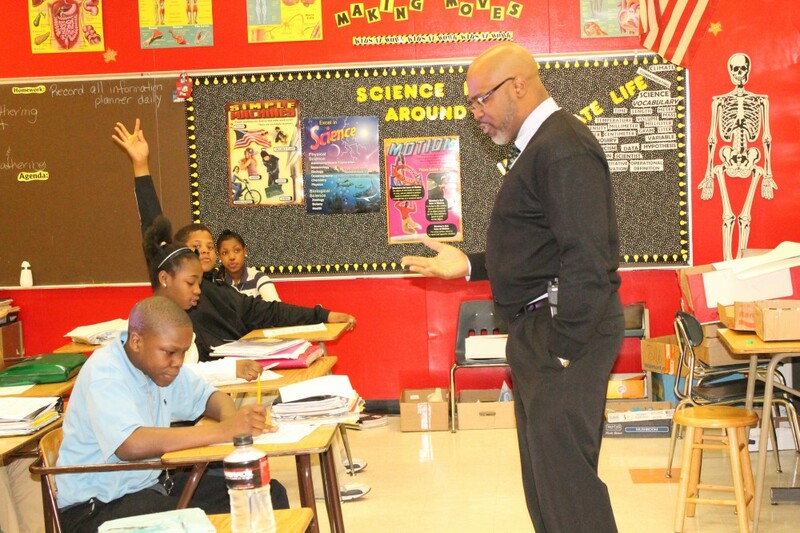 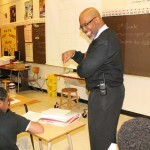 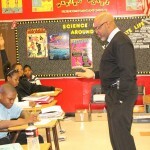 As a product of Detroit Public Schools, Principal Thornton has been with DPS for 20 years and has a strong connection with the community, people, and of course the students. 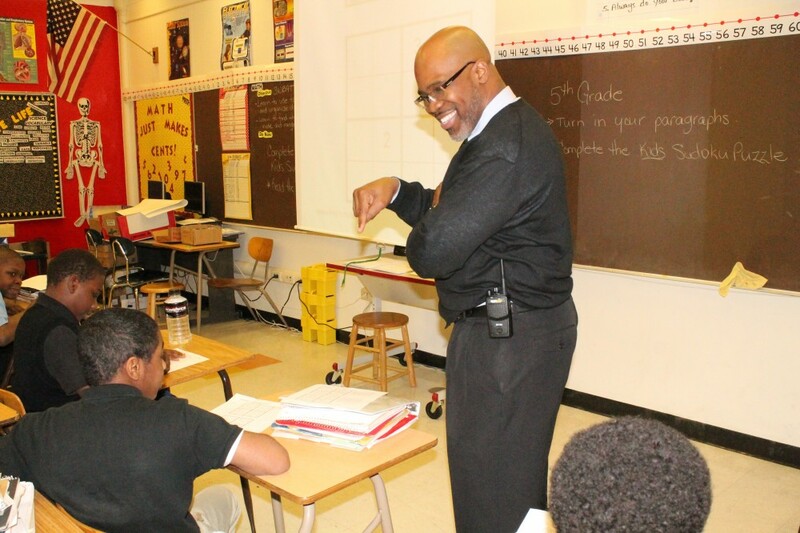 Principal Thornton highlights the importance of getting children ready for their futures. 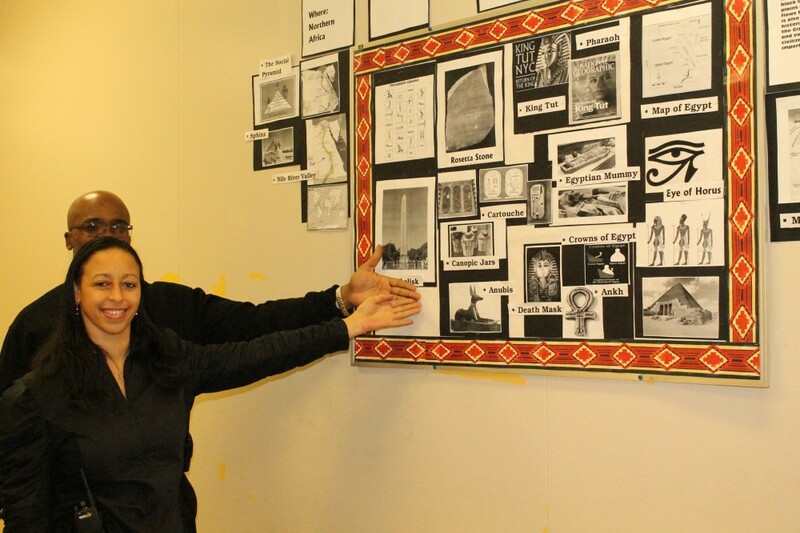 Even though she is certified K-12, Principal Thornton has specialized for quite some time in grades 6-12, giving Carstens students an advantage on how to be fully prepared for high school and beyond. 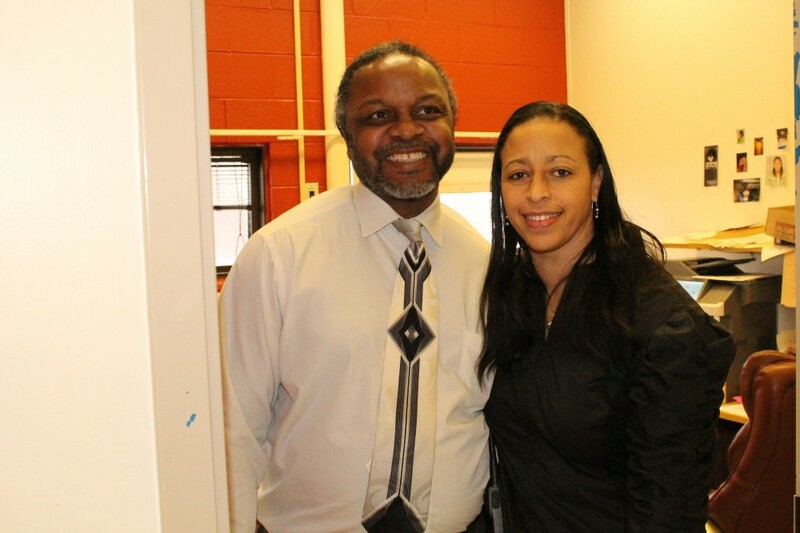 Principal Thornton is also on a mission to bring a pop of color to the school, starting one ceiling at a time. 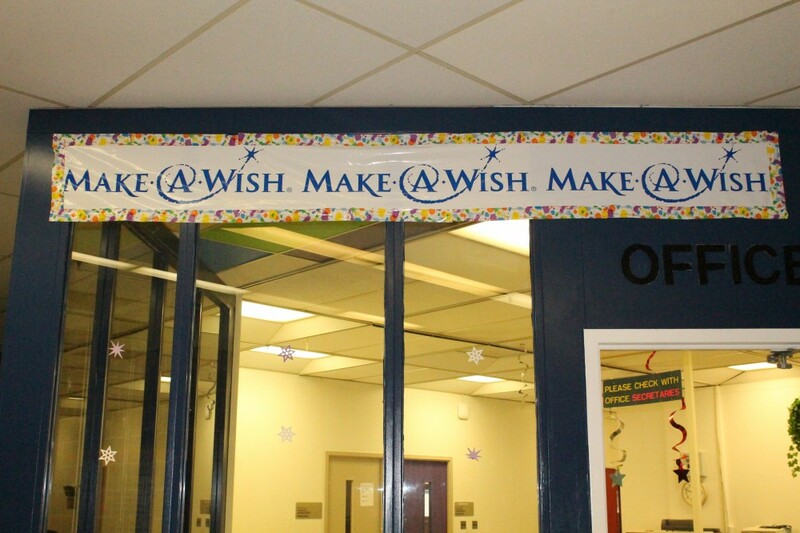 Volunteers have begun painting the tiles on the ceiling vibrant colors such as canary yellow, blueberry and spring green to liven up the atmosphere. 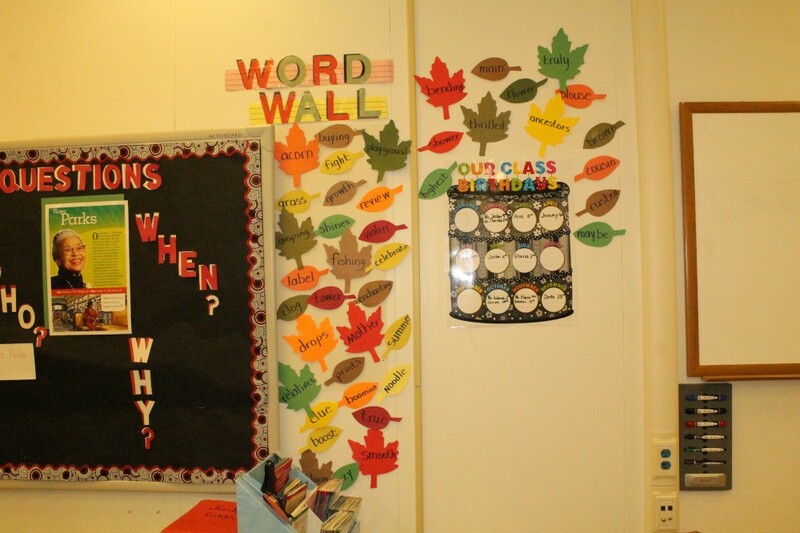 Teachers, too, are honing in on their artistic skills and showcasing their creativity by decorating their rooms with bright colors, exciting pictures and inspirational quotes. 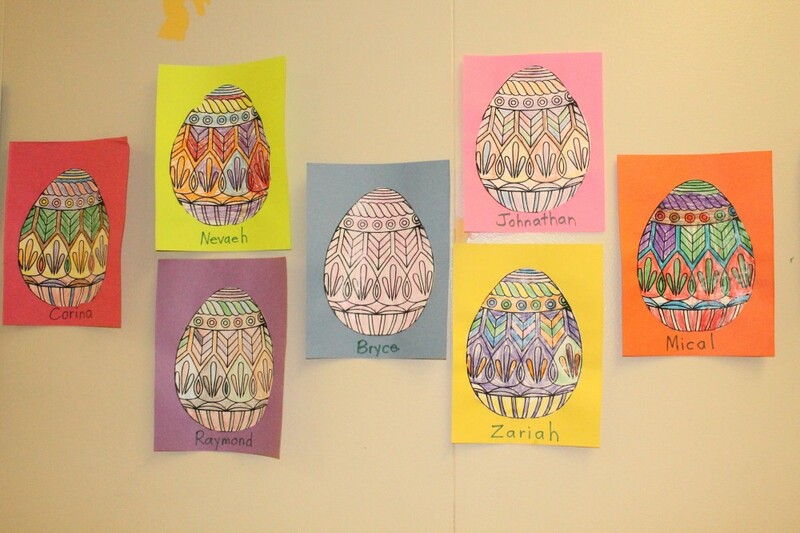 Hallways showcase collections of art pieces made by the talented students from each grade. 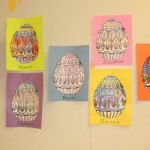 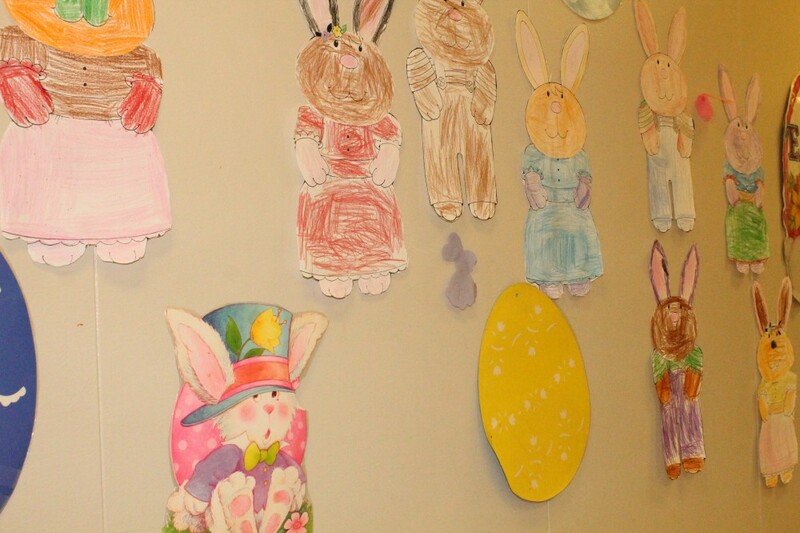 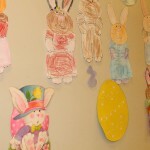 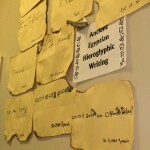 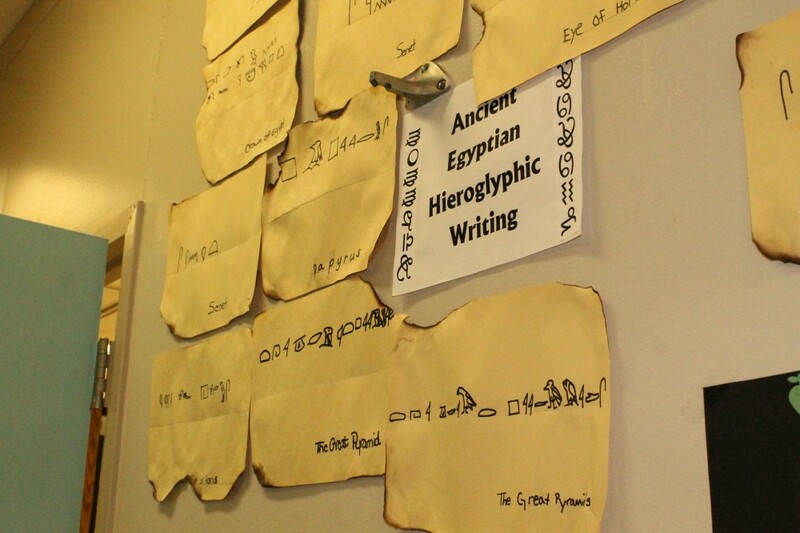 Pieces include colorful Easter eggs and Easter bunnies, decorations to highlight STEM projects and even ancient Egyptian Hieroglyphic writing. 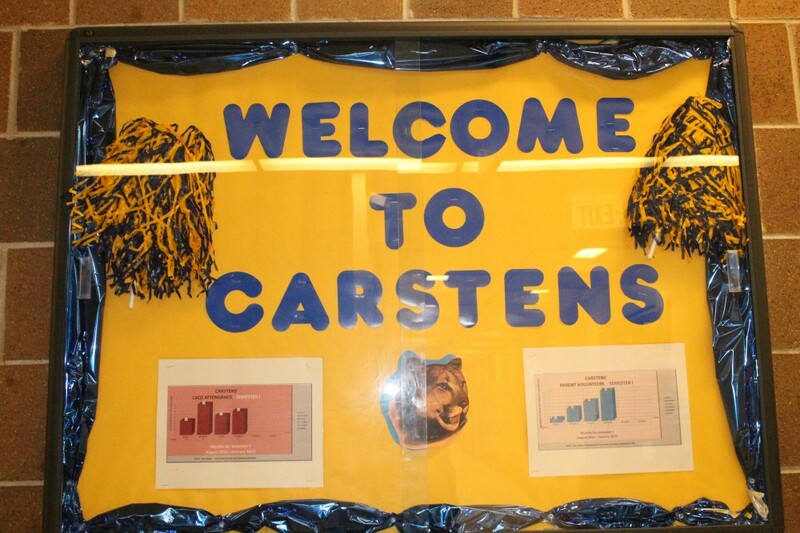 Carstens has zero tolerance for bullying, and Principal Thornton says she is surprised at the amount of bullying and cyber bullying that occurs at the elementary level. 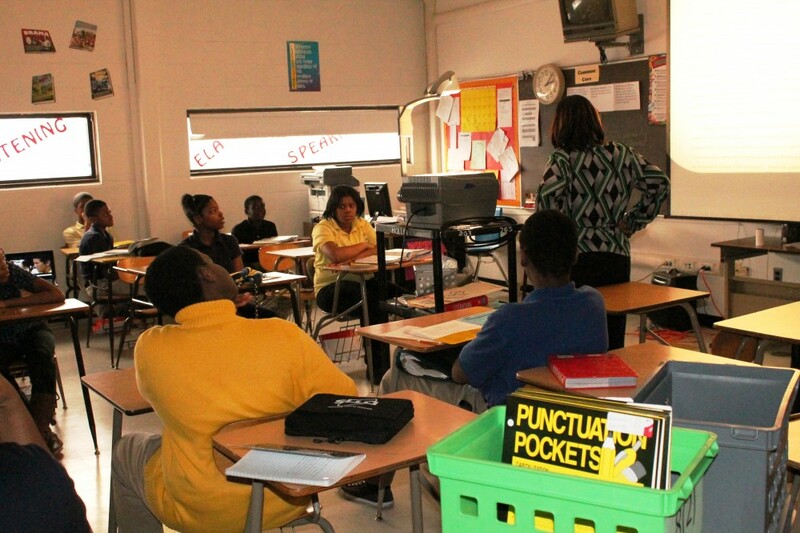 The school has initiated a program to train instructors and students on anti-bullying and cyber bullying. 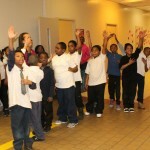 The curriculum incorporates conflict resolution methods and implements intervention strategies to create a no-bullying zone. 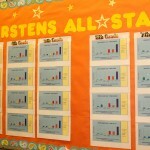 The no-bullying program is essential, says Thornton, as Carstens staff members focus on educating the whole child. 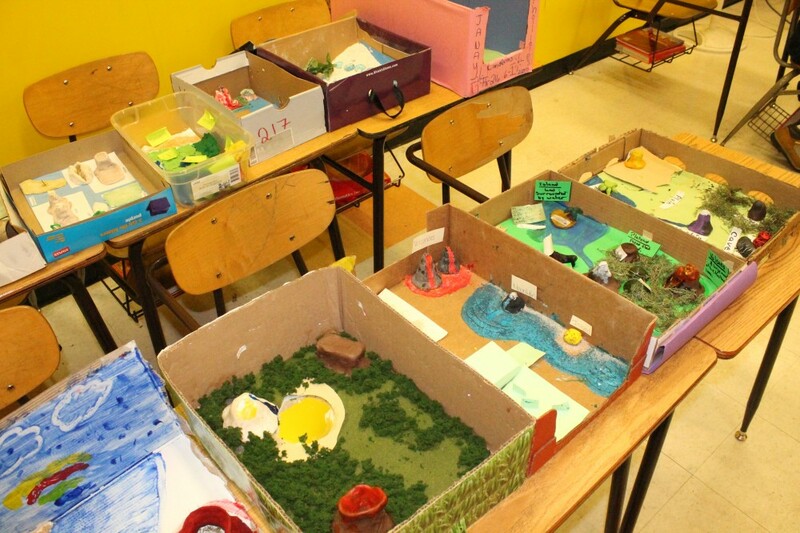 When you walk down the math and science halls, you can peek into any classroom and find the students working on an assortment of projects and experiments. 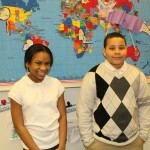 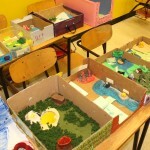 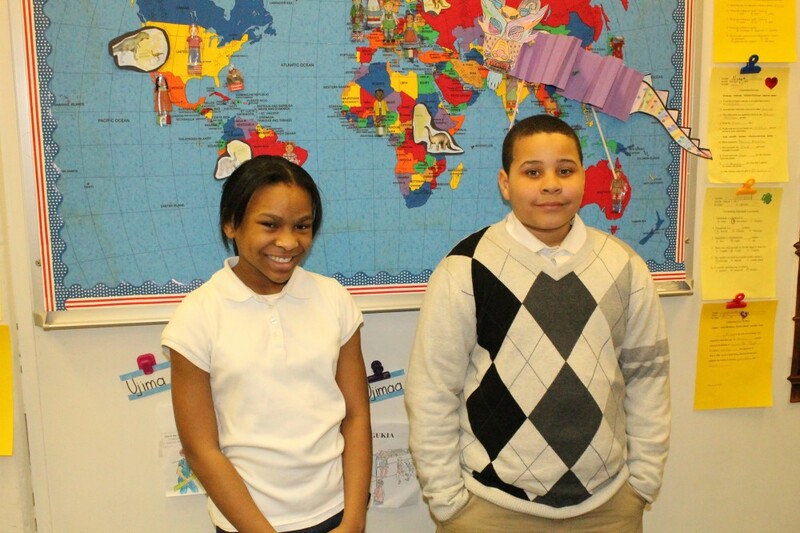 Students were recently tasked with creating their own landform projects where they were given a variety of materials. 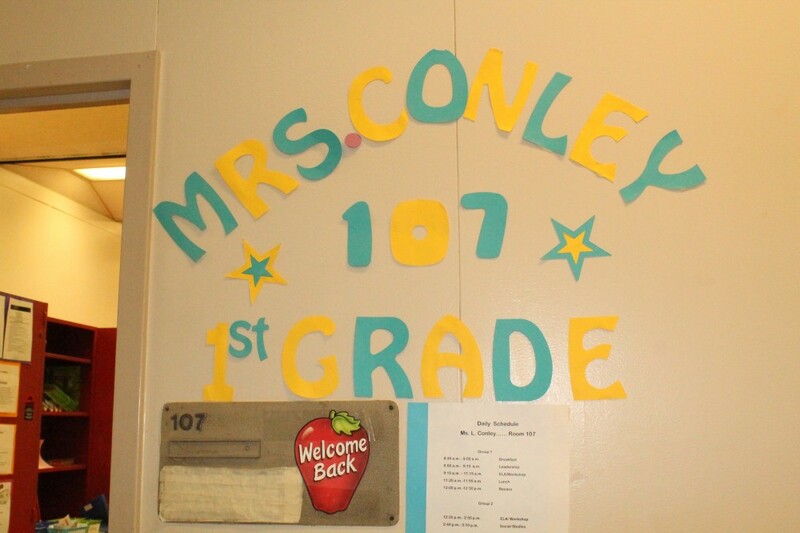 Yet, it was completely up to them how they wanted to use the items. 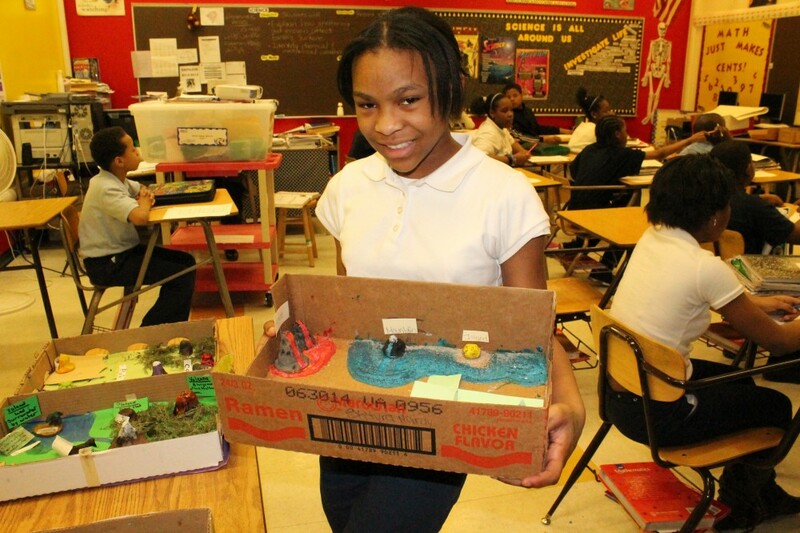 The students were innovative and used materials such as brown sugar to mimic sand, mirrors to imitate water and clay for building three-dimensional surfaces. 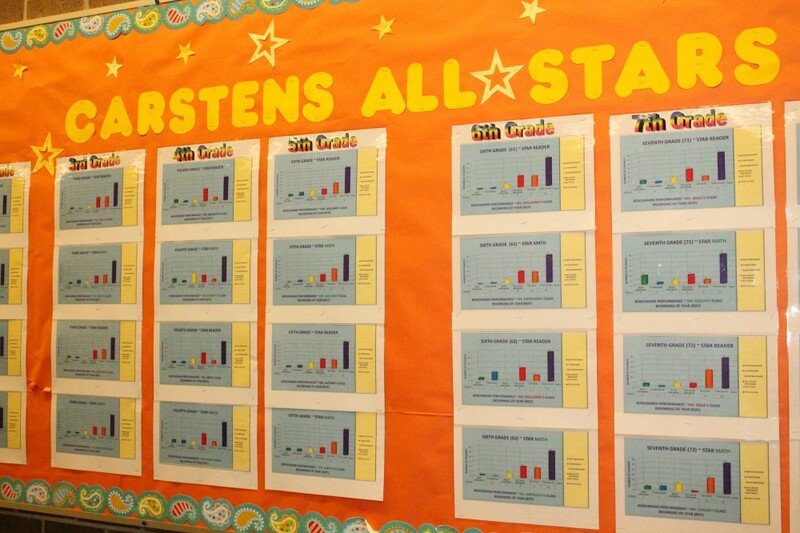 On Friday, April 12, Carstens will hold its school-wide science fair. 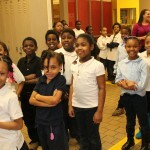 However, this event “won’t be just any science fair,” says Thornton. 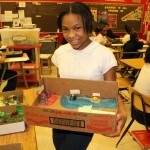 In addition to showcasing unique projects, there will be a variety of STEM stations for students to engage in. 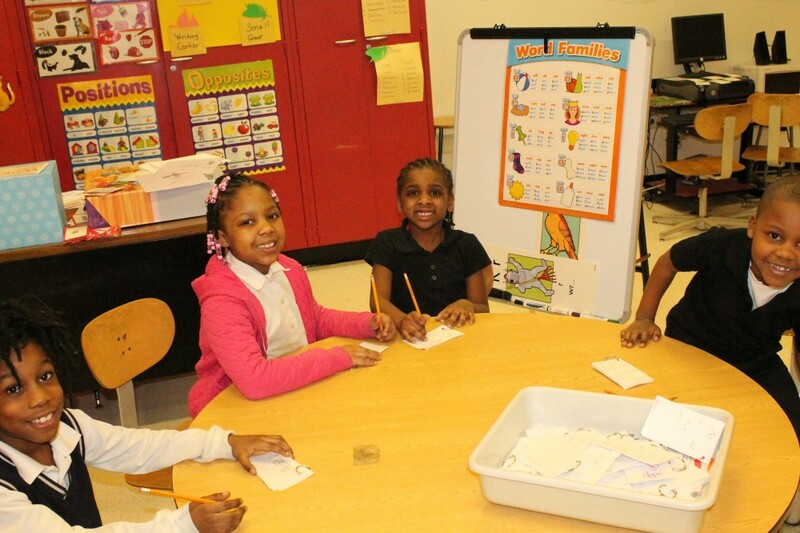 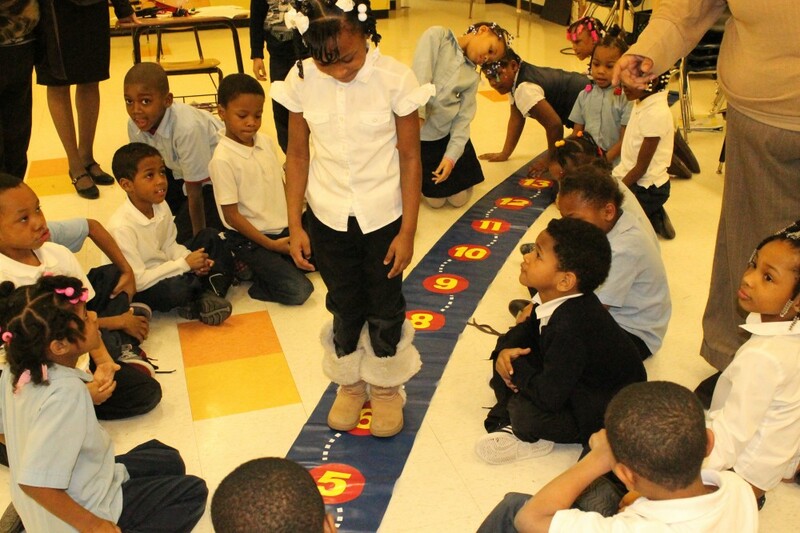 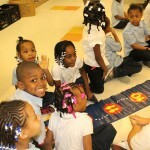 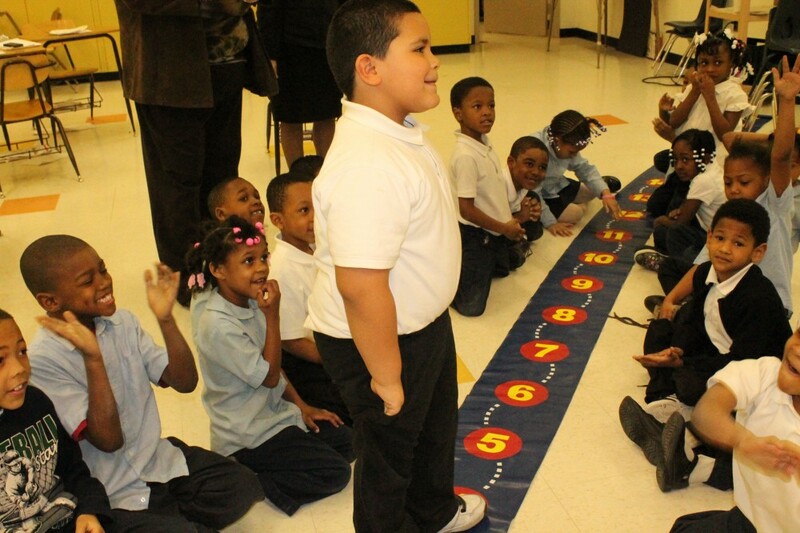 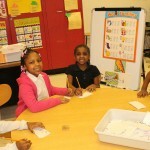 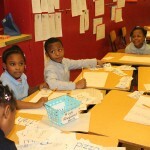 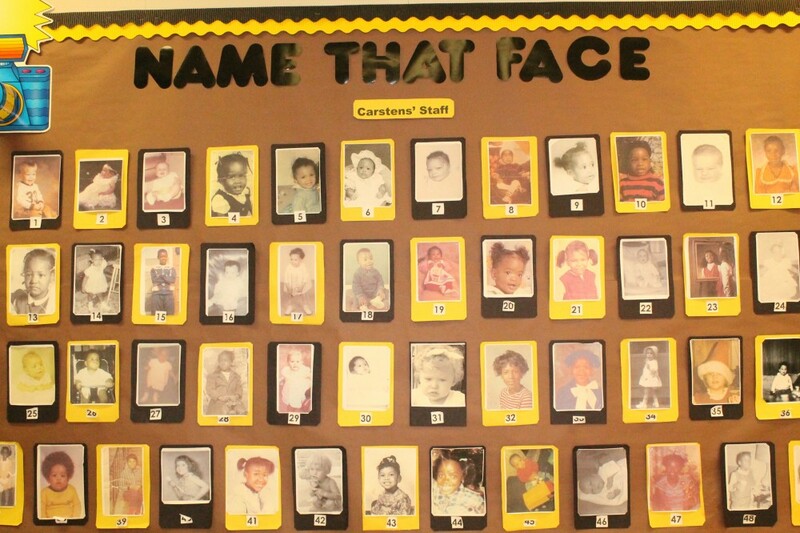 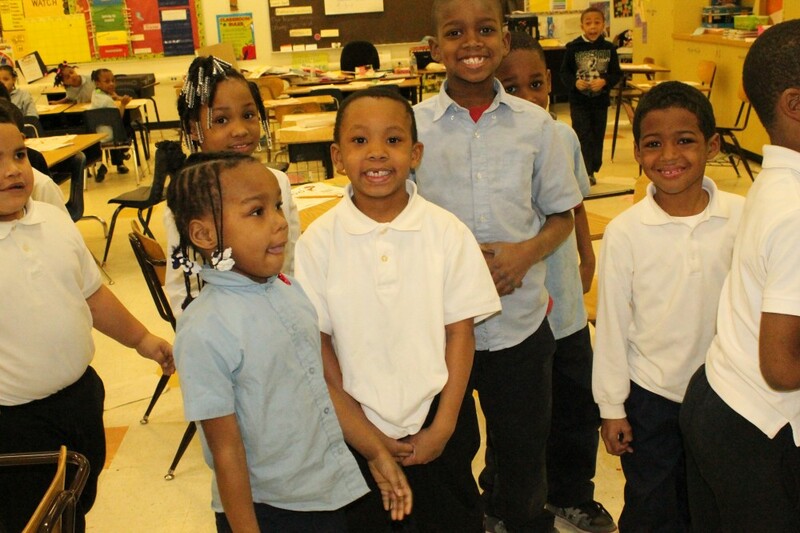 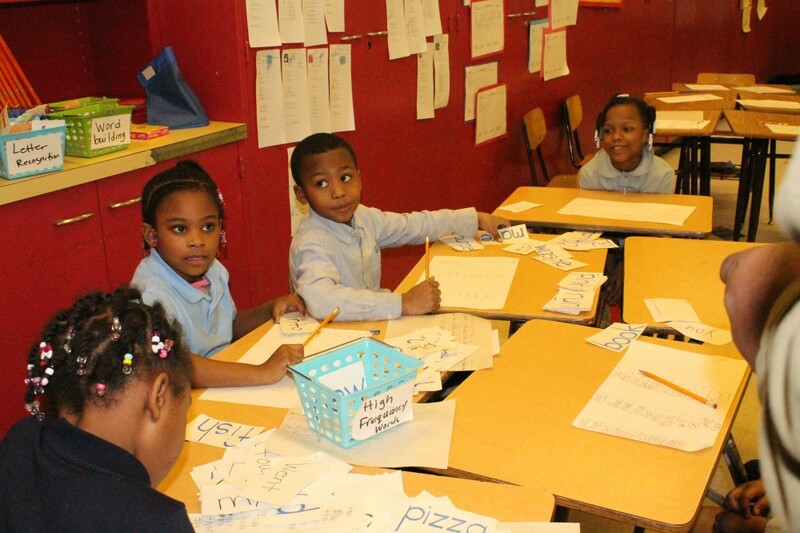 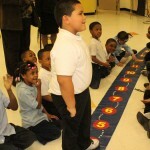 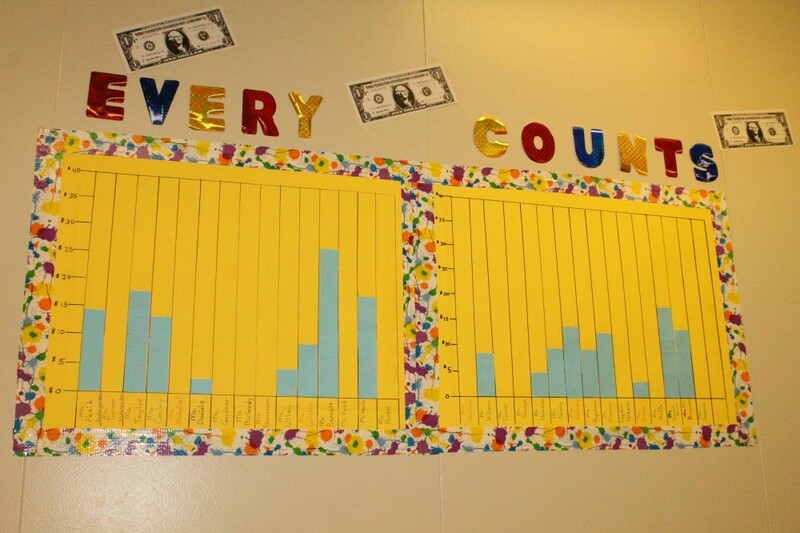 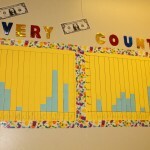 First-grade students often play mathematics games that really get them moving. 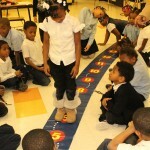 Similar to a hop-scotch set-up, students are given an equation and either have to walk backward or forward to get to their answer to help with mastering addition and subtraction. 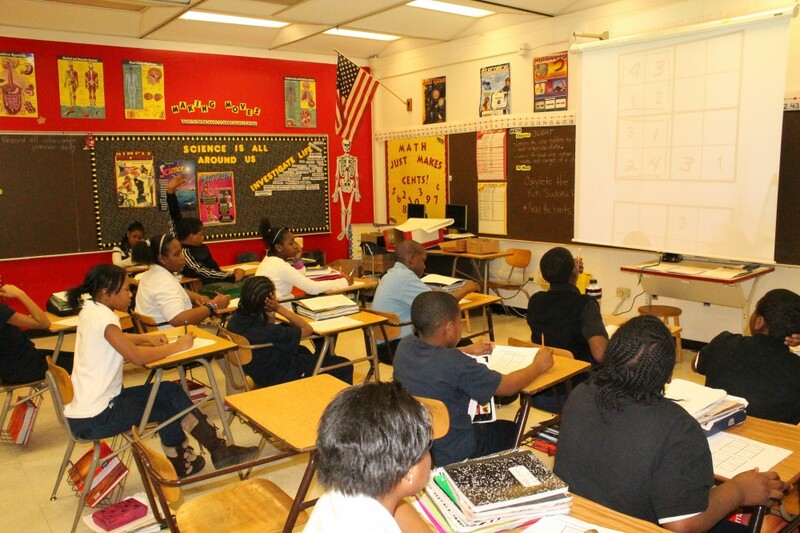 Every student is engaged and eager for a turn. 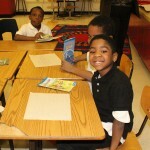 “We really care about our children. 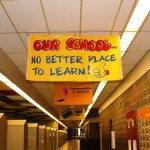 We don’t say we do. 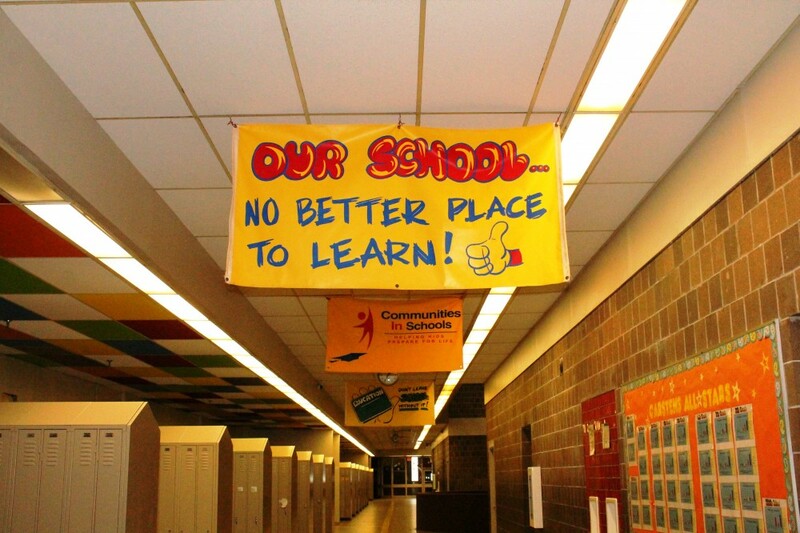 We prove we do,” says LSCO (Local School Community Organization) President Abby Phelps. 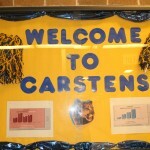 Second-grade teacher Cheryl Michalski made the transition to Carstens after teaching at Bates Academy for 18 years. 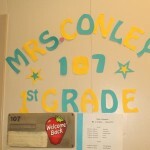 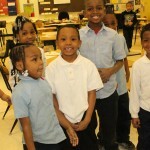 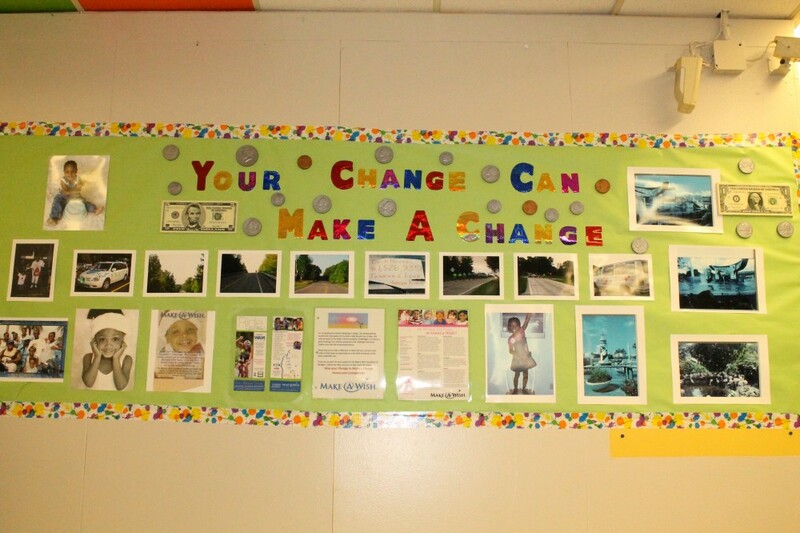 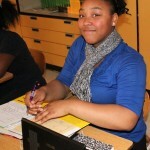 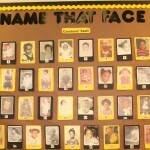 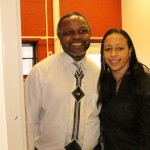 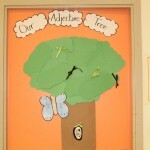 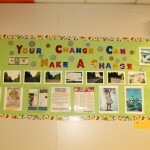 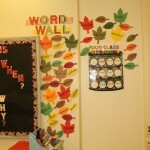 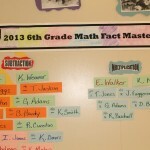 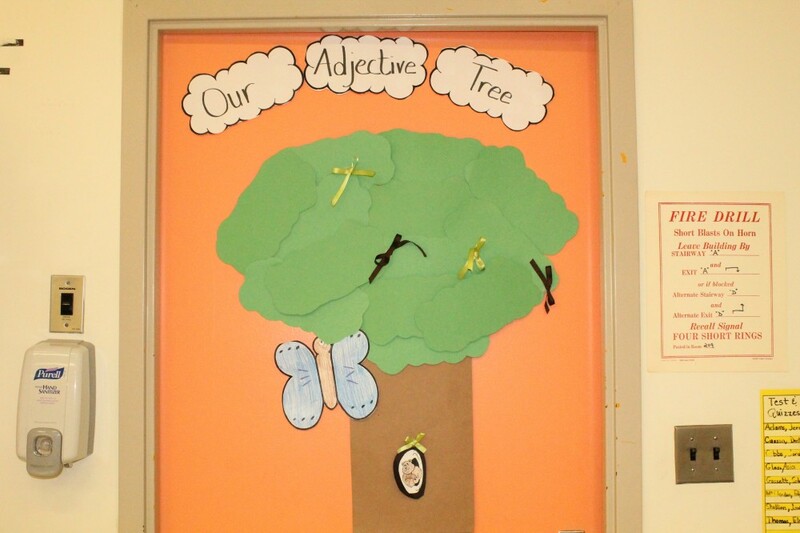 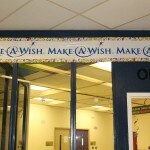 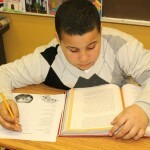 This entry was posted in Info News Center, News and Press Releases, Student Showcase and tagged 056, School of the Week.